This post is sponsored by Coca-Cola. 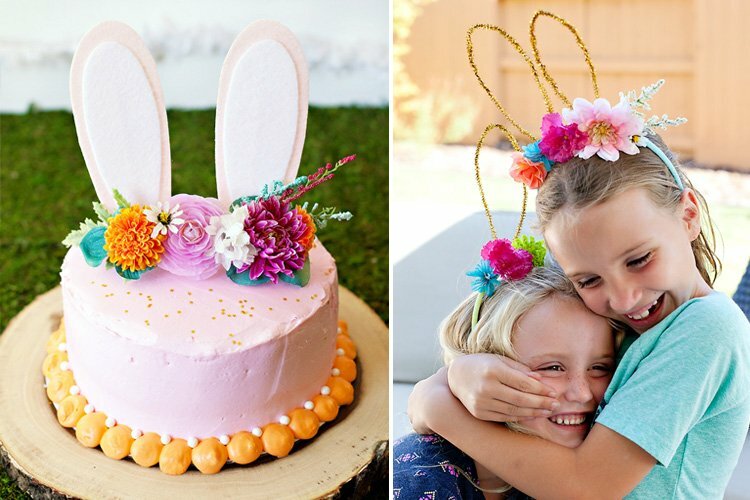 Visit them on Pinterest for more creative ideas like these! 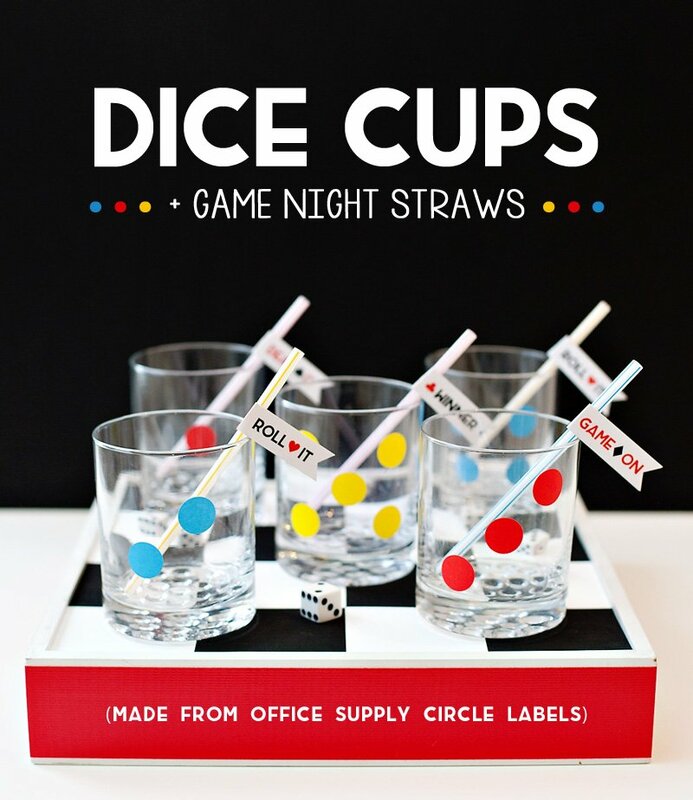 Game nights are fun by nature, but even MORE so with a little creative twist! 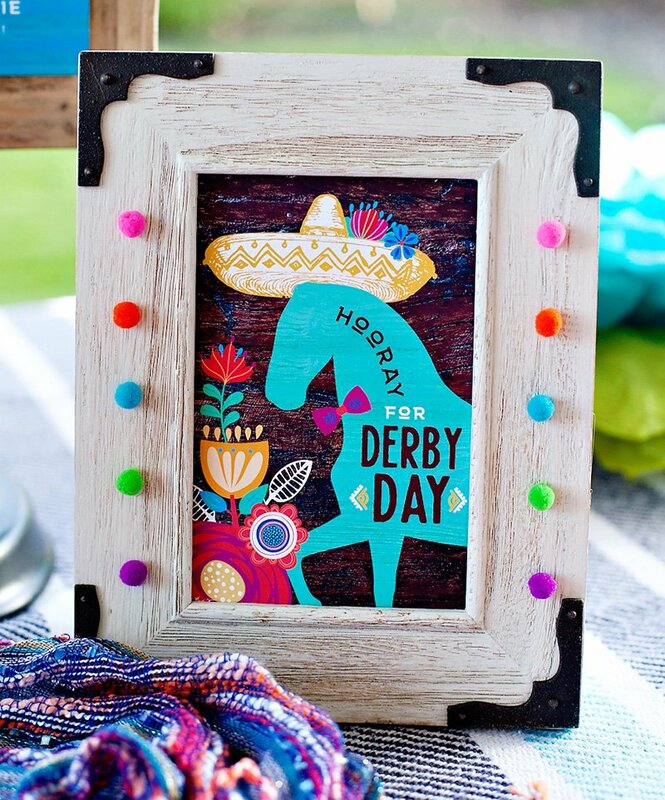 And even the simplest ideas can pack a big, colorful punch. Speaking of which… life seems to be extra crazy busy for everyone these days, myself included, so I’m really trying to seek out more of those fun details that can be pulled off in a pinch. 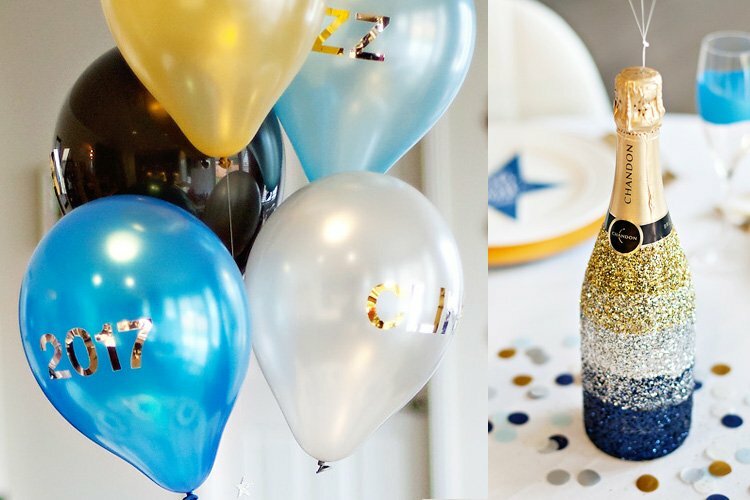 Each of these Game Night Ideas are simple and budget-friendly enough to work for anything from a big party with friends to a laid-back family game night at home with your closest loved ones. Read on for the (easy!) 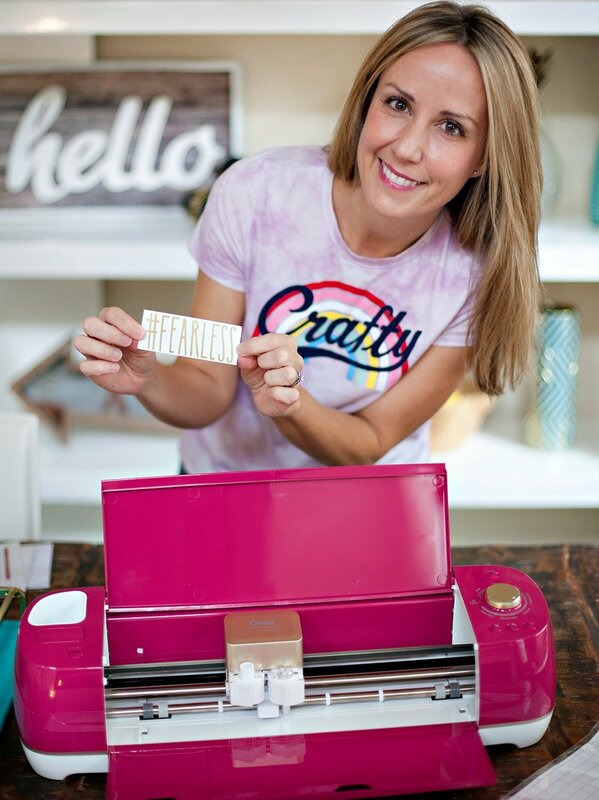 project details and free printables below. Enjoy! 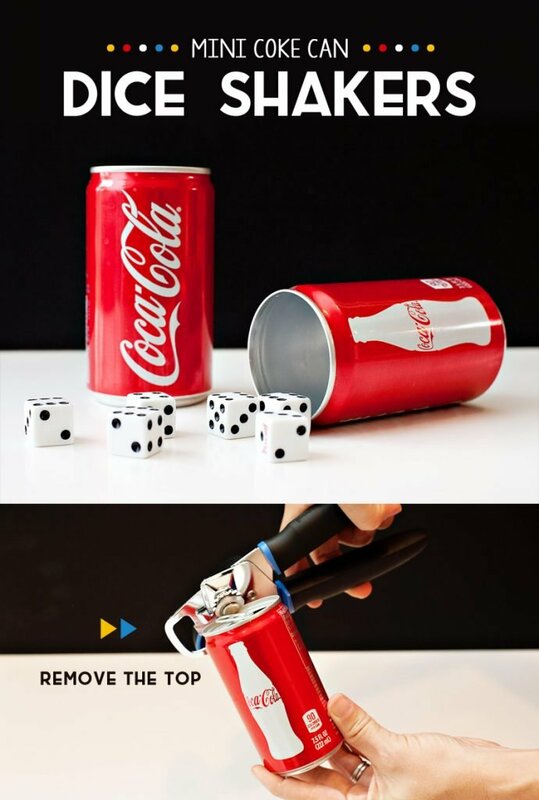 All you have to do is remove the top of the mini cans with a can opener. The inside of the rim should remain smooth if the lid is removed properly. 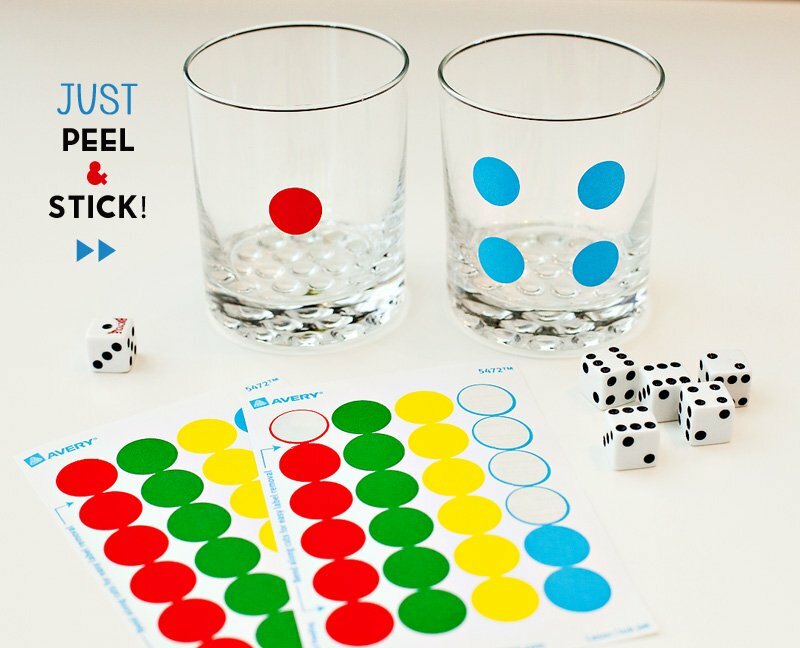 Add some dice, and you’re ready to play! 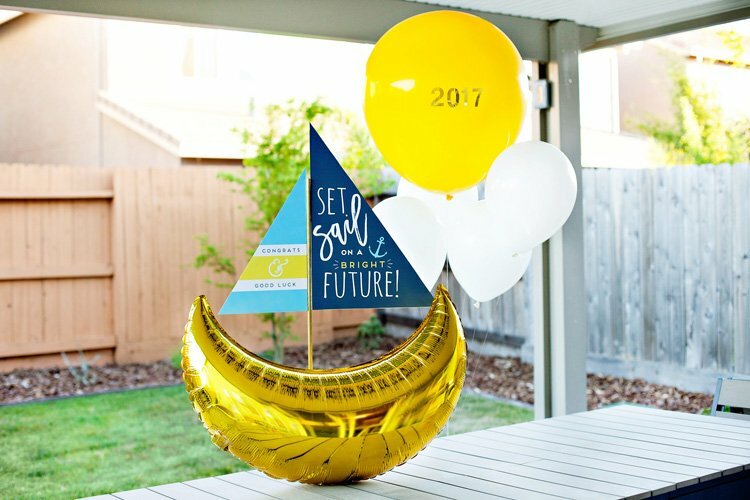 You’ll need colored card stock, a 1″ circle craft punch, white paper bags, and an adhesive of choice. I used hot glue because it provides such a quick, secure grip, but you can also use craft glue, glue sticks, or double-sided tape. 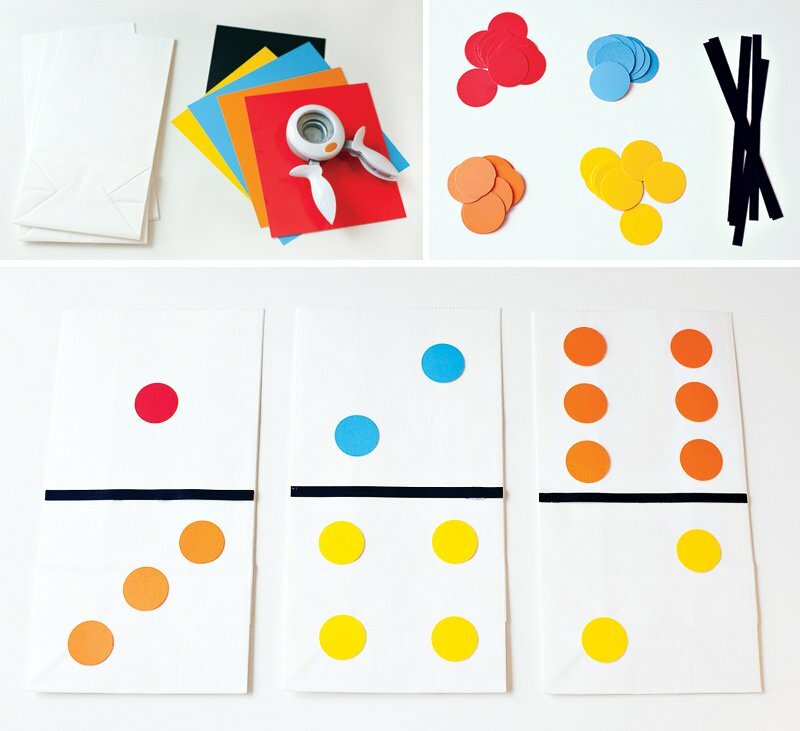 To assemble, glue a thin strip of black card stock across the center of each bag, then add colored dots above and below the line to mimic the look of a domino. That’s it! 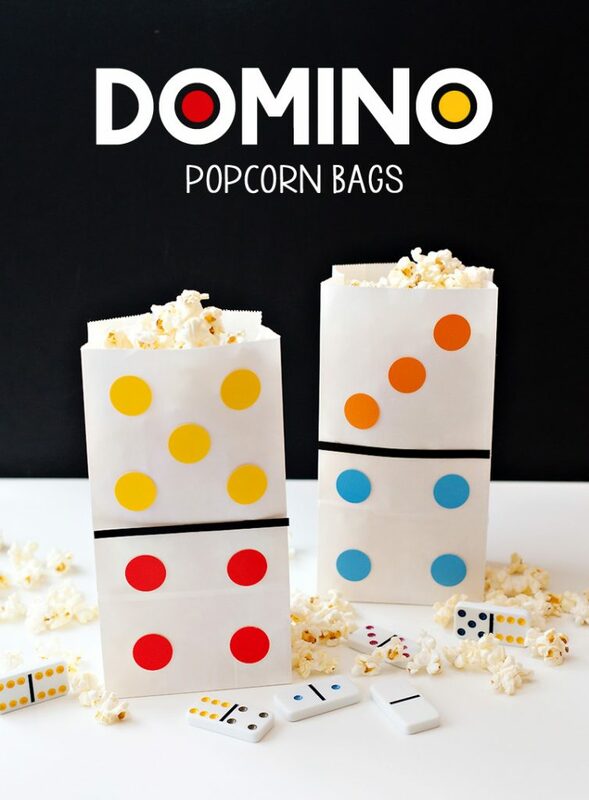 Fill the finished bags with popcorn or other treats. 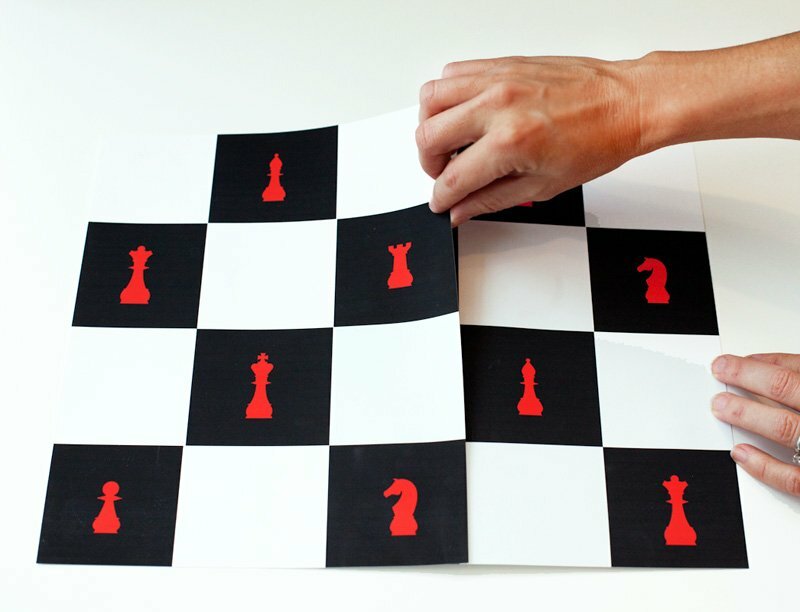 Quick note on the chess board printable – it’s 2 pages, and the left column of Page 2 is intended to go under Page 1 so that the look of the final “board” is seamless, as indicated below. I recommend gluing the 2 sheets together to keep them from shifting. P.S. 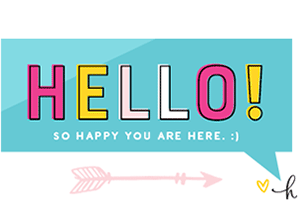 You can download my 4×6 Let’s Play Sign for a fun decorative accent as well. 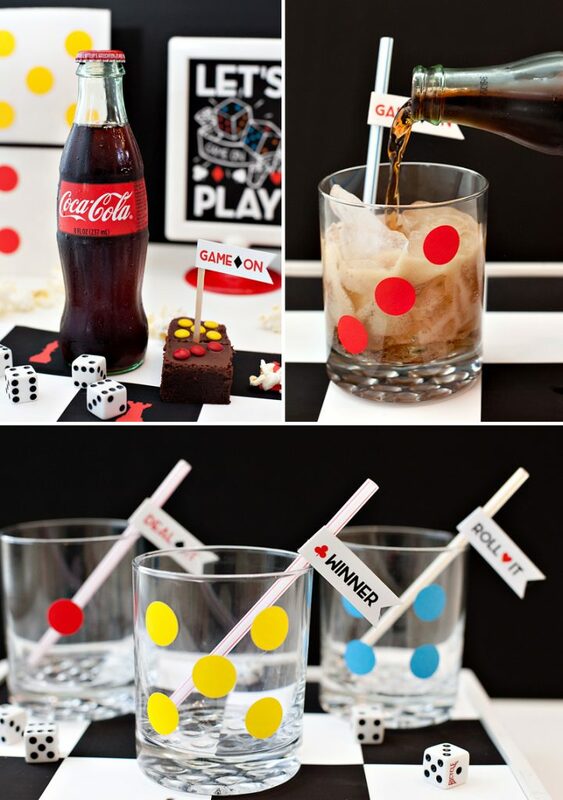 To create the Game Night Straws pictured above in the glasses, print and cut these Mini Party Flags, then fold them over and hot glue them to plastic straws. 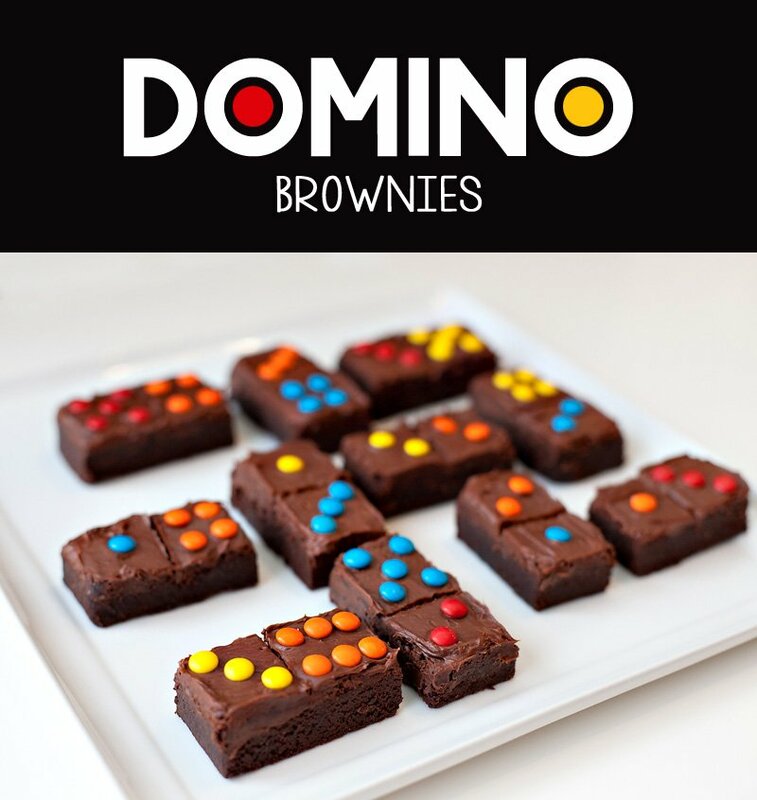 These tasty “domino brownies” are simply decorated with chocolate frosting and miniature chocolate candies. 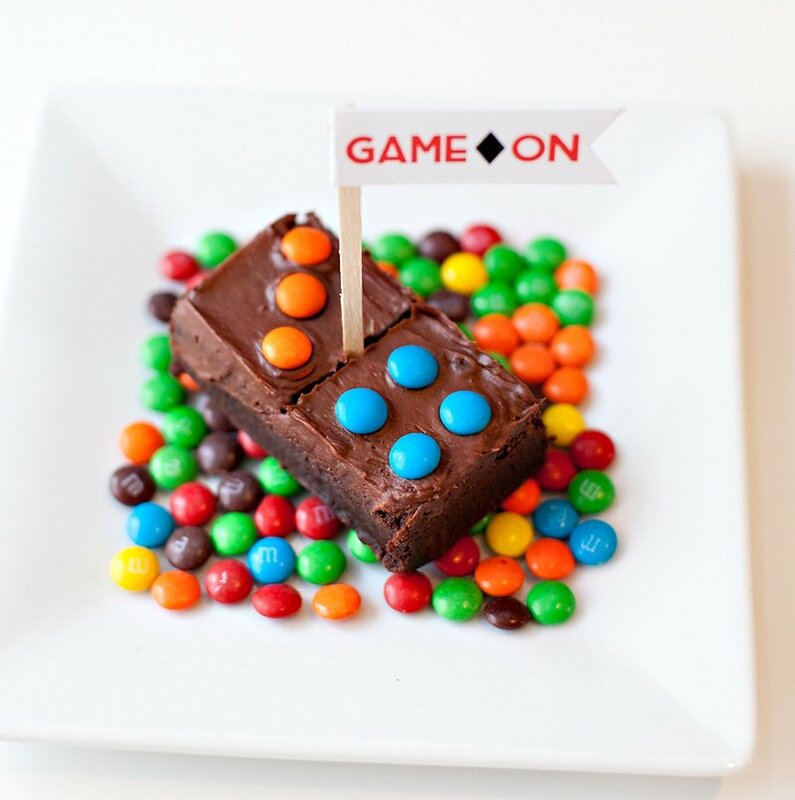 Use a knife to make an impression across the center of each frosted brownie for the divider line (making sure to not cut too far down the brownie), then add colored candies above and below the line. 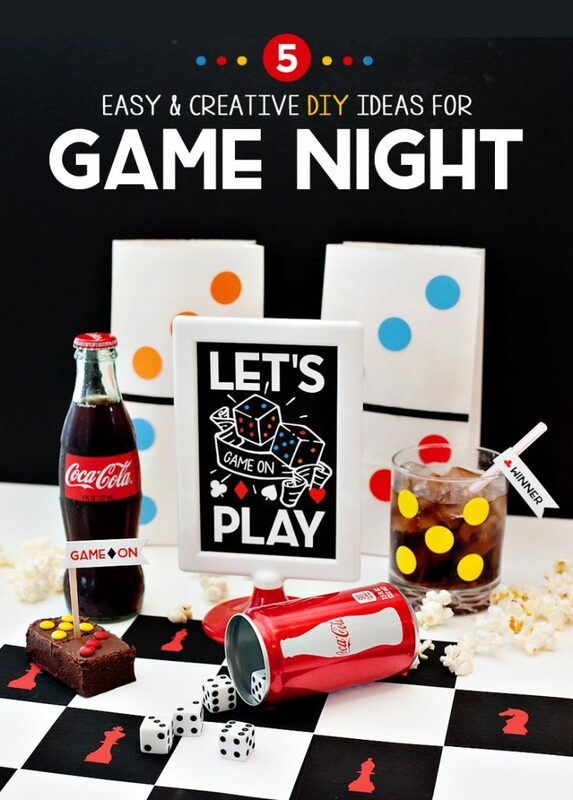 Hope you have some fun with these Game Night ideas! 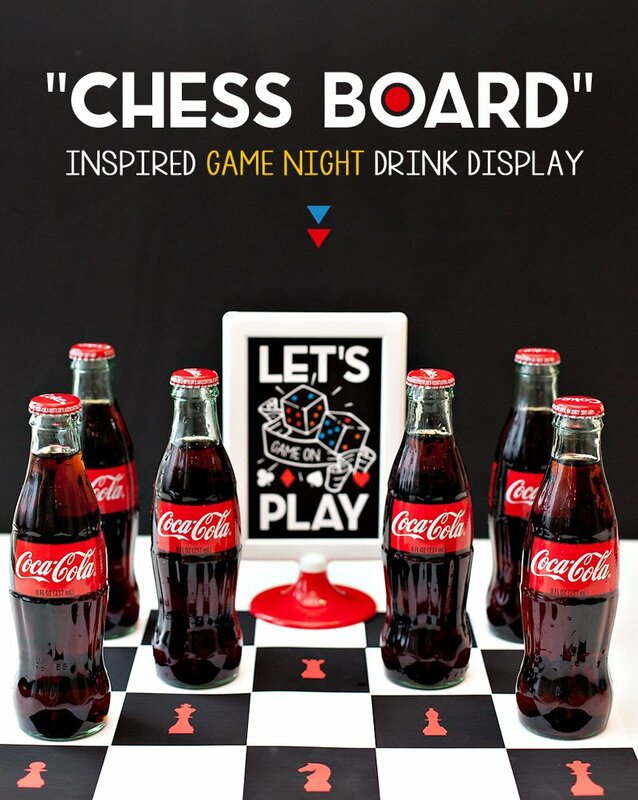 Check out more of my projects and recipes featuring Coca-Cola right here. Disclosure: This post is sponsored by Coca-Cola. As always, all thoughts and designs are my own. Thank you so much for supporting the companies that make it possible for me to keep the creative content coming your way!